This back cinch is made from 100% premium thick leather. 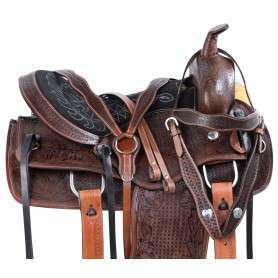 It features a hand tooled pattern that is designed to match a wide variety of Western saddles and comes with a front girth connector strap. Now on sale for only $19.99 today! Was $49.99 Now $19.99 For A Limited Time Only! This back cinch is made from 100% premium thick leather. 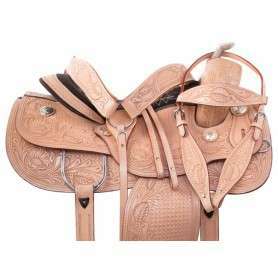 It features a hand tooled pattern that is designed to match a wide variety of Western saddles. The rough out underside protects the horse from chafing and rub marks, even while being ridden for prolonged periods of time. 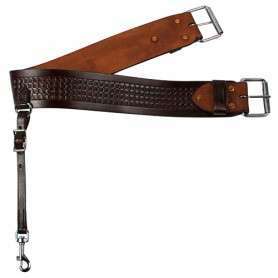 The chestnut coloration of this back cinch makes it as versatile as it is useful and makes it the perfect addition for your tack set. Billet straps not included. 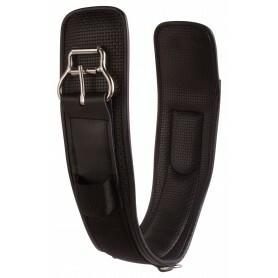 Connector Strap: 12 - 15"
Nice quality leather. Beautiful color. 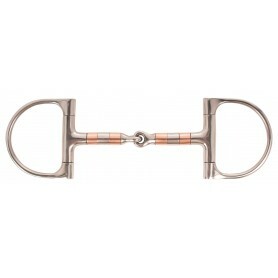 Goes well with my new synthetic saddle that has leather accent. Great price too!